The doors have now closed on the 2018 edition of Med-Tech Innovation Expo. This action-packed medical technology showcase offered the opportunity for thousands of eager visitors to experience multiple product launches and demonstrations from over one-hundred exhibiting companies on the show floor. More than 30 engaging presentations took place and a wealth of exciting show features educated and entertained in equal measure. 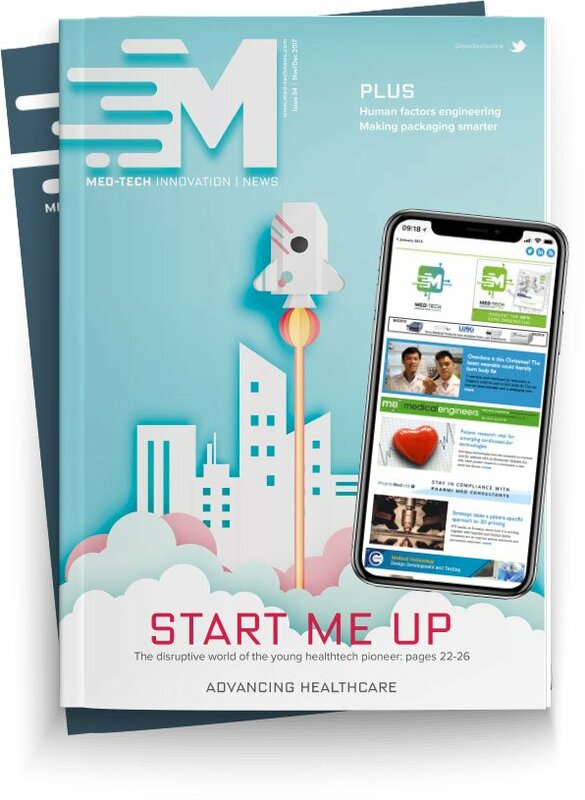 With an expansion of the show floor presenting more exhibitors than ever before, this high-octane event connected over 2,000 attendees (audit pending) with an exciting and varied range of businesses who stood ready to help them solve their medical design and manufacturing challenges. Those seeking future technologies and services ahead of the mainstream saw dynamic displays, exclusive product launches and hands-on demonstrations of all the latest innovations from the likes of Connect 2 Cleanrooms, the Centre for Process Innovation, University Hospitals of Leicester NHS Trust, XL Precision Technologies and Worrell Design. “The show’s been great – a good number of people coming to us, but more importantly the quality of leads has been exactly what we were looking for. The type of people we want to target have been in here, so we’re really pleased,” said Mitsubishi Electric’s Neil Welch. Across two conference stages, attendees saw presentations from a wide range of blue-chip users, government officials and industry experts. Innovate UK, MHRA, the Academy for Healthcare Science, NHS Digital and more offered insight and intelligence throughout the Med-Tech Innovation Conference (produced in association with Medilink UK), while event exhibitors delivered all the latest news on hardware, software, materials and services on the HealthTech Stage. In addition to the packed conference and seminar programme, visitors experienced a range of exciting show features including the GTMA Pavilion, Inspex, which focuses on providers of measurement and inspection technologies/services and the Medilink UK Pavilion which gave a range of Medilink member businesses including IHN Insurance Brokers, TBAT Innovation and GX Group a platform to highlight their solutions to industry challenges. Last night, Bluefrog Design was announced as the winner of the inaugural Advancing Healthcare Award – an accolade reserved for the most innovative products, services, technology or approaches to manufacturing in healthcare on display at Med-Tech Innovation Expo. Judges rewarded Bluefrog Design for their innovative approach to treating paraesthesia – a complicated skin condition with no known cause. Using 3D laser scanning and 3D printing, the team was able to create a vest which was light and comfortable to wear, and which has greatly improved quality of life for the patient. On winning the Advancing Healthcare Award, Jon continued; “It was a real surprise! We’re only a small business so to actually get an award for us is great." Med-Tech Innovation Expo will relocate to the NEC, Birmingham, for the 2019 event. The move will allow the breadth of features on the show floor to be expanded with new exhibitor zones and exciting content focused on medical plastics, digital devices, pharmaceutical technologies and early stage innovations. This will add new dimensions to the show for visitors and offer exhibitors new ways to drive maximum returns for their investment in the event.